It's important to be in tip-top shape when you travel! The excitement you get from traveling can make you forget about taking care of your health. It’s no fun being sick when you travel, though, so here are a few tips to help keep you healthy the next time you go on a trip. Prevention is always better than cure. If you are in a new place, you can be exposed to environments your body is not used to. Always wash your hands to reduce the chances of transferring germs to your body or your food when you eat. If you can’t always have access to a sink, bring some alcohol or sanitary gel. 2. Go on a walking tour. Wherever you go, try to take walking tours if they are available or walk to as many destinations as possible on your itinerary. Being on the move and getting your blood pumping is a good way to stay healthy. Keeping active helps reduce stress. The scenery and the chance to save money are a total plus! 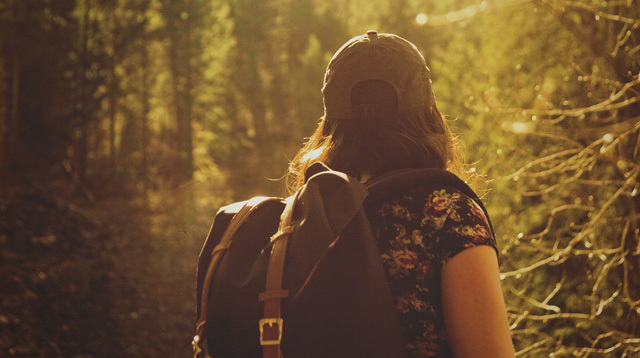 Hiking is a good way to increase your blood flow while also giving you an avenue to have fun. Trekking and spelunking are also great activities that really get you to push your body to extents you normally wouldn’t reach on a regular basis. Activities like this help stretch your muscles, including the ones you don’t usually use. They help you sweat and they make for good cardio exercise. * Minor edits have been implemented by Cosmo.ph editors.